Finding a good domain for any website, blog or even for business is a very difficult task. To select a perfect name we may do number of searches at domain register platforms but at some extent our mind stop finding suitable and choosing any best and good name which represent your work effectively. So the only easy way to find domain names are online domain suggestion tools. There are many tools which helps to you to find a perfect domain and provide suggestion relative to your desired name or domain which are you searching and So if are planning to buy any domain name and even you are searching it for long time then these tools are helpful for you. Before choosing always remember that your domain should be short, don’t use hyphens and numbers, also don’t use words which can easily be misspelled. Always take perfect domain extension which matches your website type if the is organization then choose .org, for commercial .com and for internet .Net and much more based on your choice. So to make best searches here are best domain name suggestion tools. If you don’t know about domains or want to buy then must read our article about Domains and how to buy new domain. List Of Best Domain Name Suggestion Tools. 2. Shopify business Name Generator. Lean domain search is a very easy as well as simple domain suggestions tool. You can start typing a word and it will suggest you hundreds of preferred domain names. You can even track your search history. Lean domain search also allows you to share your search results. Shopify is rather a business name suggestion tool. But you will be surprised by its ability to suggest domain names as well. Just enter the keywords and it will have a lot of good suggestions ready for you. Although, shopify suggests you to use their services of creating a business, you can always go anywhere else to buy the domain you like. NameStall is a domain suggestions as well as a search tool. 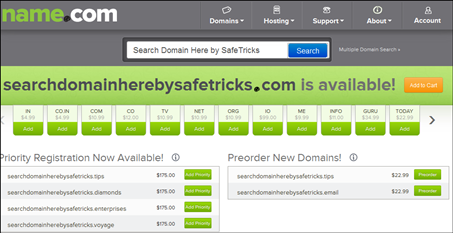 It offers suggestions for domains based on simple keywords. There are also many advanced options like selection of position of the keyword in the domain name, etc. You can rather register for a domain name right there if you like one. If you rather have more than 2 keywords in your mind, then name mesh is the tool you need. 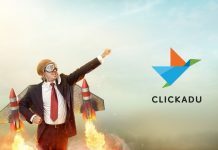 The tool will deliver ideas based on categories like Common New Short Similar SEO based on the multiple keywords you enter. It also suggests other similar keywords that you may like. Another best domain name suggestion tool. In Name Tumbler you can select and find any specific term keywords as suffix or prefix. Type your specific keywords and select the type from list for suggestion and also choose feature for suffix and prefix and then select your extension and make your search. This will add all the important and famous terms for particular type which you have selected from the list. In this tool you can search domain name with extension .com, .net, .cc, .Tv. Adult name suggestion is make off by default. So it an better idea to find a best domain name which never become an issue for your future business just because choosing bad domain name. Another best in all domain name suggestion tools. 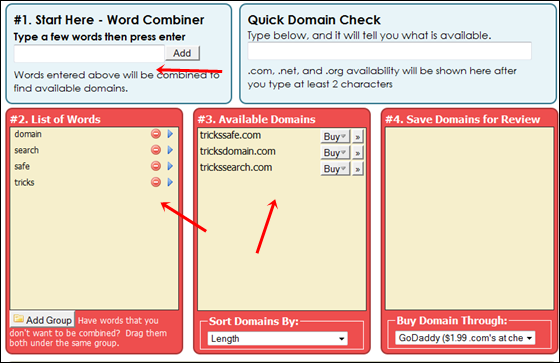 This tool helps to finding a domain name which available by the combination of specific keywords. Simply add your best keywords which want to be in the domain and the make search. The tool automatically jumble then show you specific results which are available in market. So it better idea if have number of keywords and selecting perfect name which suits your website, blog or business. You can search your desired domain from domain tools. It provides the whois lookup like which person take your desired name and also provides reverse whois look up. It gives you suggestion while finding a domain and helps to find similar names and bulk domains. This tool helps to find TLDs name which are available and also helps to find which domains are on ‘sale’ or at ‘Auction’. It helps to search by domain name, keyword or phrase. Also provides suggested results as well as premium results. Name provide results by spinning your particular keyword with others which help you to find more best names. 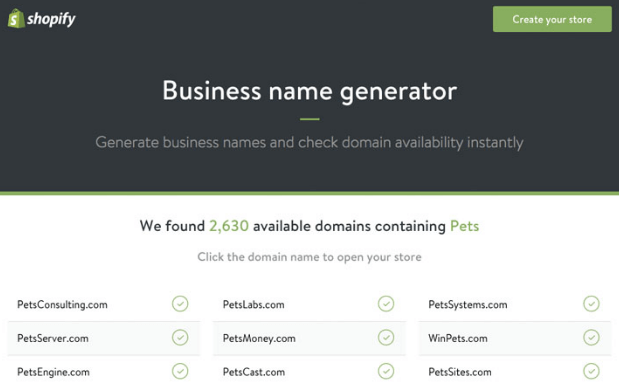 We think these few domain name suggestion tools are helpful and useful. If you have any or which tool you are using must your ideas below.